When Izmostock (car stock photography) relaunched their site, Born Digital was on hand to integrate it with their Photoshelter archive. 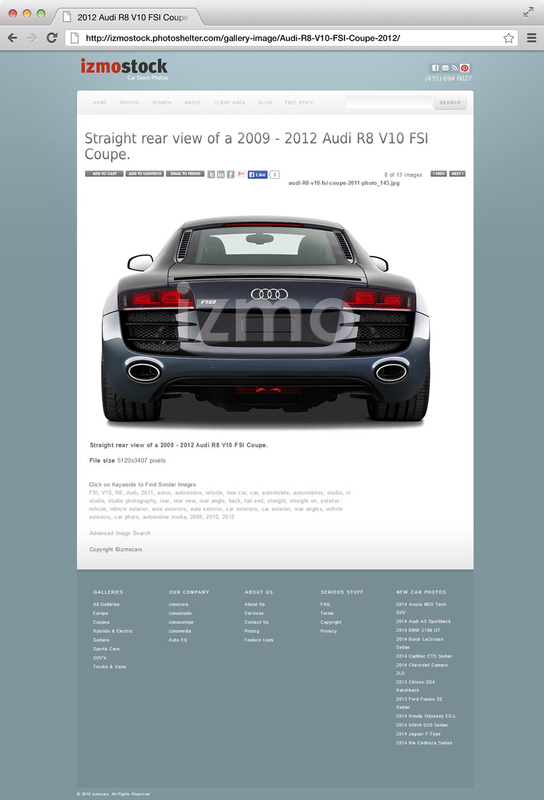 Izmostock had already developed their updated site, which runs on wordpress and wanted to integrate that with their existing portfolio of car stock photography, hosted with Photoshelter. Our role was to integrate those two systems so that they appeared to operate as a single website. All this had to be achieved within a short time frame so that our work was co-ordinated with the launch of the wordpress site in India. The owner of Izmostock was delighted with the results, please view our testimonials. Hand crafted websites for small businesses.